High 98 brightness and heavy 24-lb. weight ensure a true-quality look and feel. Presentation-quality paper that produces rich colors and sharp details on a variety of imaging equipment. Enhanced with ColorLok? Technology, providing a better printing surface, more vivid colors and bolder blacks. 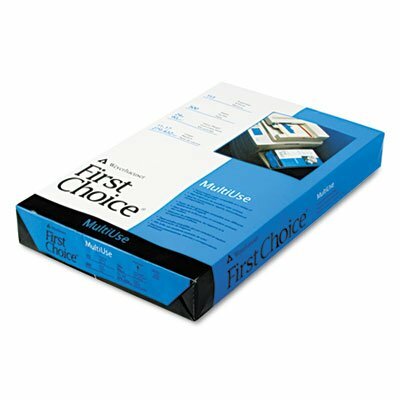 Ideal for office documents, presentations and proposals. This product was made from wood that came from a certified managed forest. Size: 11 x 17; Paper Color(s): White; Paper Weight: 24 lb; Sheets Per Unit: 500. 24-lb. super bright white premium multiuse office paper with a 98 GE brightness rating. If you have any questions about this product by Domtar, contact us by completing and submitting the form below. If you are looking for a specif part number, please include it with your message.